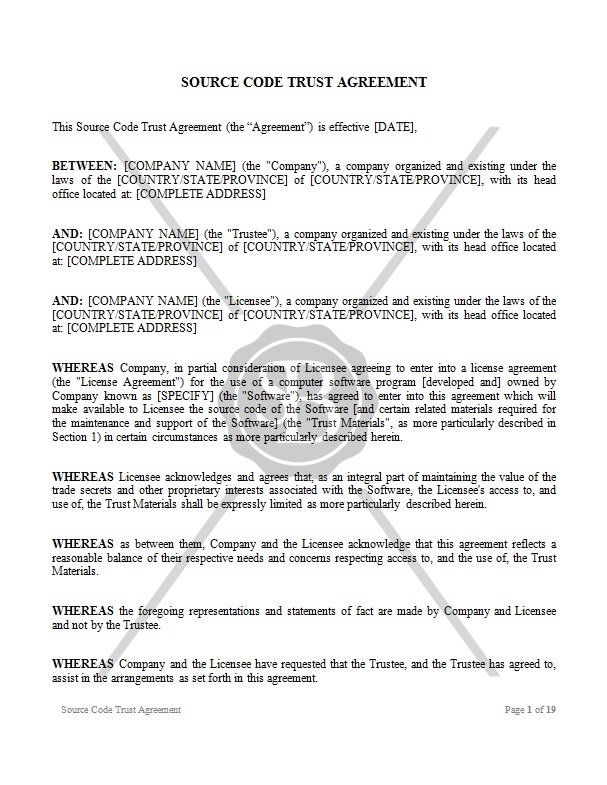 This Agreement is made between the Company, the Trustee and the Licensee. The Company agrees to make available a software source code to the Licensee along with Trust Materials. Upon the terms and conditions set in this agreement, the The Trustee agrees to assist with the arrangements.